How do you know when good is good enough? It’s not always clear, is it? 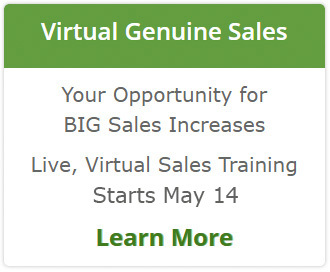 As I reach the finish line for a multi-month project producing 67 different documents (the Genuine Sales Train-the Trainer is officially ready!) I am struggling with my need to have everything be perfect. 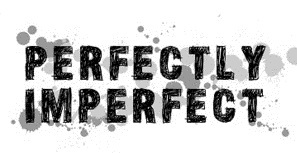 But maybe perfection shouldn’t be the goal…after all who or what is perfect? Too many of us are working longer hours as we incorporate getting more done, staying “in touch” with all the social media aspects, and serving our clients. Maybe it’s time to pause and note that being imperfect has advantages too! Accepting that all doesn’t have to be perfect is something I struggle with. Yet when I look at situations all around me where people are creating their own stress to make something perfect and delaying projects or enjoying a relationship because it isn’t perfect, I think, “Just finish it and move on!” Sometimes 98% (or maybe even 90%) is better than not doing anything! Focus on a recent success and acknowledge that it was successful. Stop the “would-a, could-a, should-a” evaluation. Accept the success and build from it. Evaluate the gains versus the efforts it takes to perfect something—are the gains from it being perfect worth the effort, time, and resources of perfection? If not, decide that it is okay as is and move on. Assess your strengths. Then stop trying to make your non-strengths equal! There are reasons why we all can’t be strong in everything! Acknowledge what works for you and use your brilliance and strengths instead of focusing on fixing everything else. Finally, even if just for a moment each day, embrace your imperfectly perfect self! Your turn! Share with me your story of a success that wasn’t perfect and you’ll be entered in the drawing for a signed copy of Conversations That Sell.